Let’s Go For a Hike. On Monday of this week, I decided to make the most of my morning and wake up early to hike with my new friend Dave, who is an engineer at one of Pasadena’s great fire departments. Dave’s very outgoing and positive, so it was hard to say no at a wake up call of 6:15am knowing that a morning hike would be exhilarating and a great way to start a new week (I can sleep when I’m dead right??). I’ve only hiked Mt. 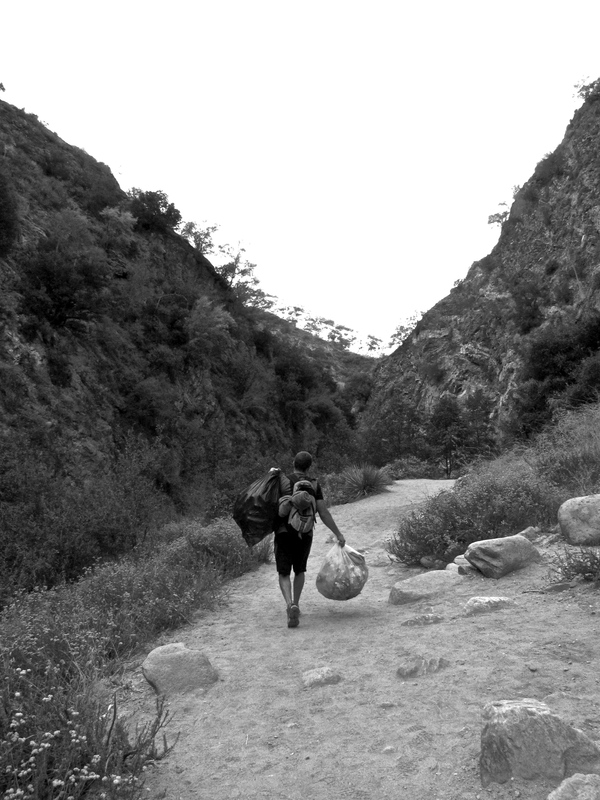 Wilson in the Pasadena area, so I was intrigued to hike Eaton Canyon and visit the acclaimed waterfall so many of my friends have hiked to before. There were maybe 3-4 other people on the trail that early in the morning– which was fantastic. It was beautiful to only hear birds and beat of my heart as I paced up the trail instead of cars and trucks on the busy streets below. Although, what I began to notice all around me was evidence hundreds of people who have hiked here before… AKA trash everywhere! NEWSFLASH: your trash stays where you left it people! There aren’t park rangers that go around and pick up after you here. If you are responsible enough to bring something into a natural park, then it’s your responsibility to take it back out with you. Common sense right? Guess not. Dave’s been hiking here before and he knew what to expect. He and I both love being in nature, and soaking in the beauty that surrounds us. So he came equipped with 2 trash bags for us to pick up after people and leave the park cleaner than we found it. 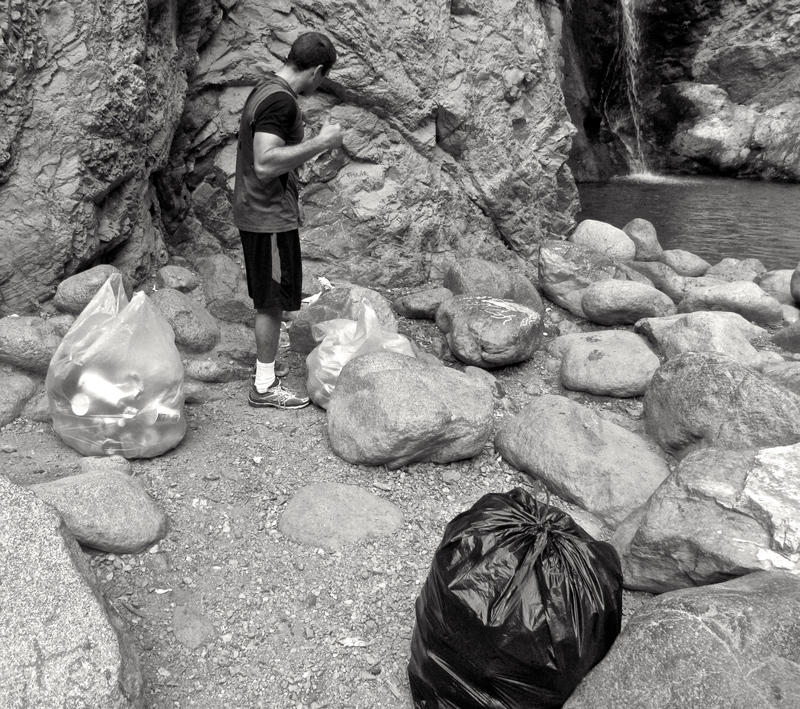 We found another trash bag someone left by the waterfall, and packed up that one as well. We filled 3 trash bags and there was still PLENTY of trash left, sadly. I’m ready to go back and clean more! It was a big reality check that some people don’t respect their environment as they should. I specifically picked up: LOTS of waterbottles and bottle caps, diapers (don’t worry I picked it up using the bag as a glove), socks, beer bottles, cans, candy bar wrappers, plastic bags, moldy ChipsAhoy cookies, and the list goes on and on… Some people even stopped us and asked if we were doing this on our own time and were so surprised they said “Wow! Thank You”- “I appreciate you” -” You’re a good person” Now hopefully they didn’t leave their trash on the ground…and felt inspired to grab a couple pieces of trash other people left on their way out (Monkey See, Monkey Do-right?). 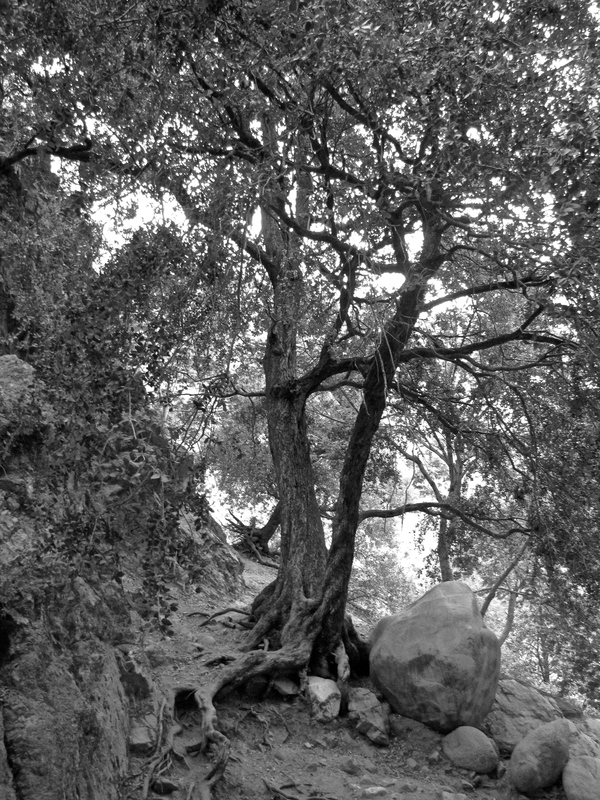 On that note- here’s some black and white shots I captured on this morning hike. Felt good to take some nature shots- they are my favorite! Which one do you like best? Signs Are All Around Us. What Great Samaritans! Thanks for reminding me to be conscientious of the environment around me. I absolutely love your photos. “Reflect” was definitely my favorite – such a treat for my eyes!! You really are a good person and even if I live half a world away I appreciate you for trying to be an inspiration to all the lazy, sloppy pigs out there. Growing up playing in the woods my mum always carried bags around to both pick up trash and recycle whenever she could, I never gave it much thought back then but now that I’m grown up I find myself doing the exact same thing, always carry a few bags around and never be shy to pick up litter and hopefully someone watch you and learn. Your mom sounds like a great environmentalist 🙂 Glad she passed that down to you. My dad taught us the same thing when we were children, leave a place cleaner and better than it was when you got there. Your dad is a good man 🙂 That’s a great rule to abide by at all times. Thanks for taking a peek at the pics- The Tree of Life is pretty spectacular isn’t it 😉 Nature is a great model! 🙂 You are so right on both counts! Wonderful pictures, and thanks for helping to clean up. 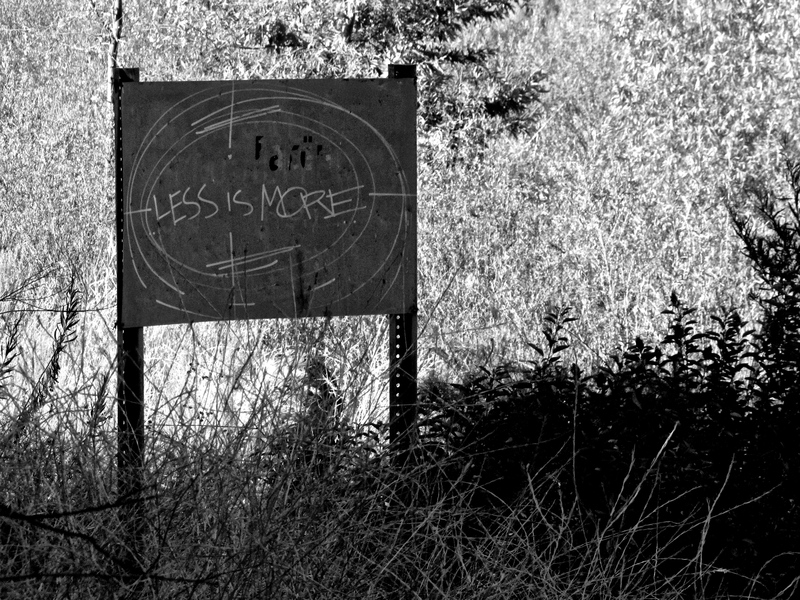 We live in the mountains and are saddened by the trash left behind by visitors. Thanks for stopping by Barney- glad you enjoyed the photos. It’s really disconcerting to see how little respect some people have for the environment. It’s not a hard concept to learn to pick up after yourself. What mountain area do you live by? That’s so kind and environmental conscious of you. 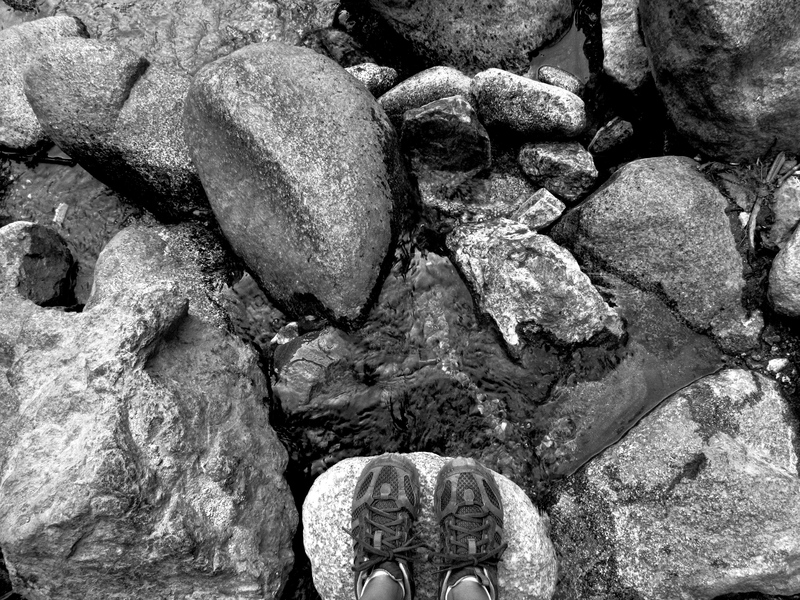 Don’t shoot at me, I have never done such heinous thing during my hike. 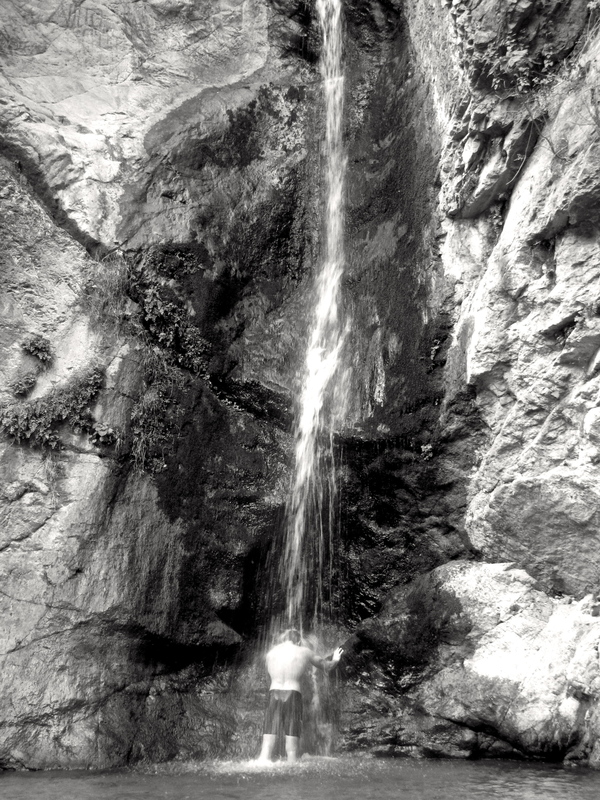 I hinke this weekend somewhere in Santa Barbara and was disappointed that there the waterfall didn’t have water. (So it was just solidfall, I’m being silly) We had like the first rain last Saturday that I figured I hike to see luscious greens and wet waterfalls. I should’ve stayed in Ventura. 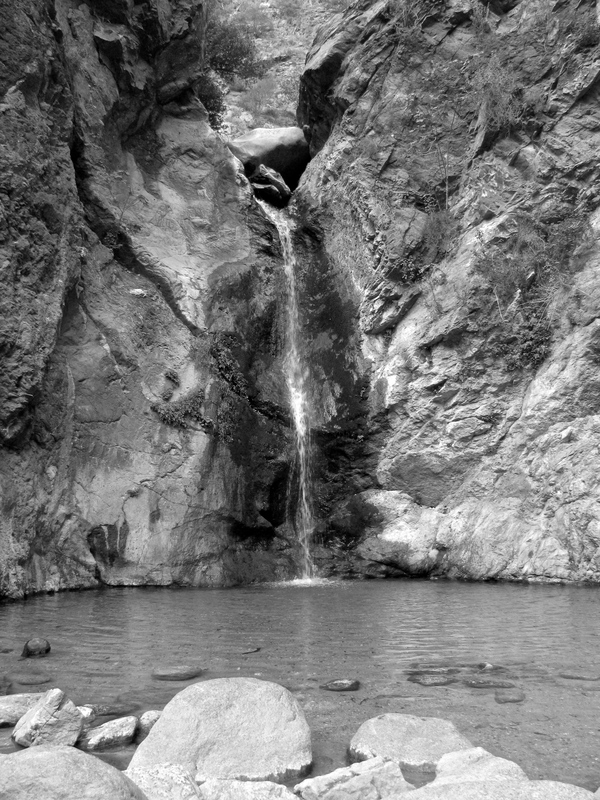 Silly me again, I drove to Santa Barbara and the dry waterfall disappoint me. The traffic is horrible too esp. with the Ventura Fair. I’m babbling on your blog. My favorite…urgh… I like first three. Uhm ?… Lemme have a definite pick… Id go with the first as the best. 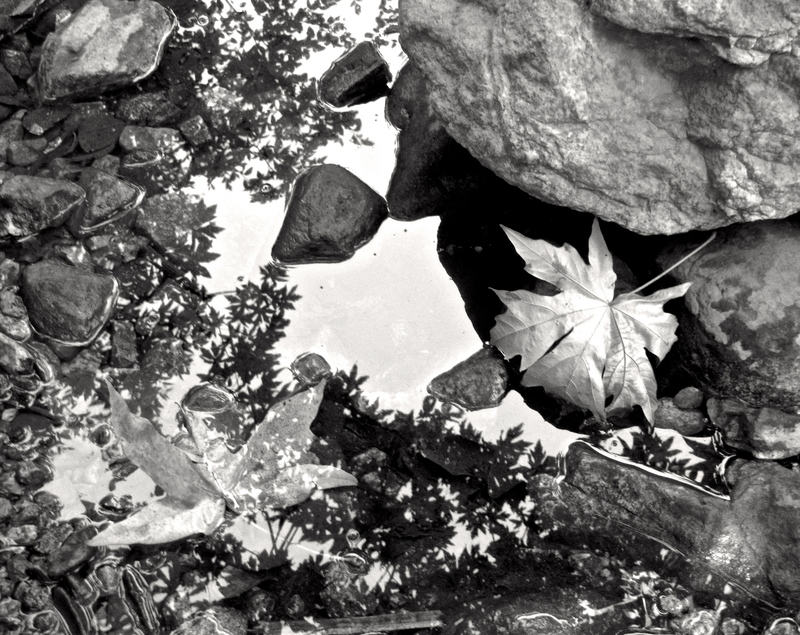 Glad you like the first photo “Reflect” – it’s one of my favorites too! I remember walking by and seeing the reflection of the trees in the calm water with the beautiful leaves placed perfectly in the water…perfection! Shoot! The reason why I brought my story… Pasadena is a hot hot area in California. I didn’t suspect there’d be waterto that waterfall there. 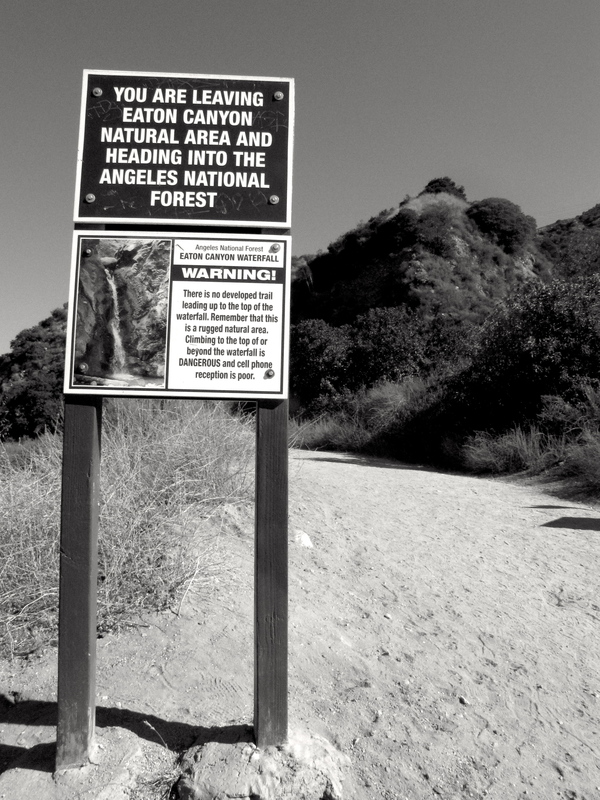 It’s almost a brave move to be hiking this time of the year in California. Dryness all over the place.